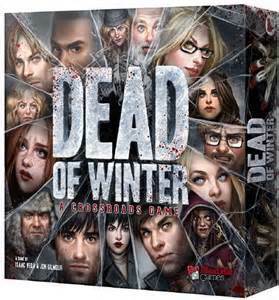 ‘Dead of Winter’ is a 2-5 player semi-cooperative board game set in a zombie-infested post-apocalyptic winter. Players lead groups of survivors trying to keep their colony afloat in the face of subzero temperatures, hordes of undead and constant crises that demand you leave the safety of colony and scavenge the nearby town. Players need to work together to survive these crises and win the game but they also need to complete their own secret objectives, withholding help and resources from their fellow survivors. Even worse, one of them may be a betrayer, working from within to destroy the colony and ruin everyone’s day. Difficult decisions lie at the heart of ‘Dead of Winter’. For example, without food the colony will eventually starve, and you will lose the game. Heading to the abandoned supermarket seems like a simple decision then, right? Wrong. Firstly, do you use precious fuel you may need later to travel safely by car, or risk walking? If you walk have a fifty-fifty chance being injured, and a one-in-twelve chance of turning up at your location infected, only dying after spreading the virus to the other survivors there. I have never hated rolling dice as much as I hate rolling Dead of Winter’s infection die! The difficult decisions don’t stop there. Once you arrive, do you make noise searching for the right items and risk bringing a zombie horde down on yourself, or do you only take what you can get quietly and leave much better supplies behind? And anyway, your secret objective requires you to stockpile medicine – why should you be the one to find the food while others get all the better items before you? Another way that ‘Dead of Winter’ forces its players to make difficult decisions, and where it becomes truly innovative, is its use of Crossroads Cards. These are drawn secretly and only activate when a player unwittingly triggers a specific condition, such as if a survivor drives to a new location or if certain characters are in play. When this happens a short scenario is read aloud and then either the player whose turn it is or the group as a whole have to decide how to react. These cards are beautifully written and are alive with story and roleplaying potential. You’re not just playing the town’s mayor – you’re playing the heartless mayor who drove past desperate strangers because he didn’t want more mouths to feed. The people clogging up your colony and demanding food are not just helpless survivor tokens, they are the fireman’s family, who were with him when he rescued your faction leader from the burning police station. These cards don’t activate every turn but happen often enough to give a real sense of narrative to your game, and with over a hundred cards provided each game will have its own unique story. ‘Dead of Winter’ is a well-made game, with beautiful artwork and solid components – as you would expect for a game that retails at £50. The rulebook is fairly slim and easy to follow, although I would have preferred it to be better organised – happily, Plaid Hat Games have uploaded several videos for new players on their website which are well worth a watch to give new players a good idea of how things work. ‘Dead of Winter’ immerses you in a terrible post-apocalyptic situation and asks you what you’re prepared to do to survive. It feels desperate, as post-apocalyptic survival should, and that is matched in its difficulty – in half-a-dozen games only one player in our group has recorded a win. What is really telling, though, is that the first thing we wanted to do when we lost is play again, testimony to the fun we were having. And ‘Dead of Winter’ isn’t all terrible decisions and betraying your friends. 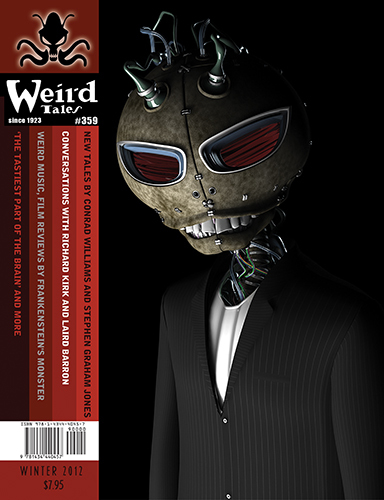 There is a playful sense of the absurd and a streak of dark humour running through the game as well, stopping it from becoming a drag to play. ‘Dead of Winter’ has caused quite a stir in the board gaming community, appearing in several best-of-year lists and selling out faster than canned goods on doomsday. It’s not hard to see why. It combines solid board gaming mechanics with an atmosphere of mistrust and constant danger. 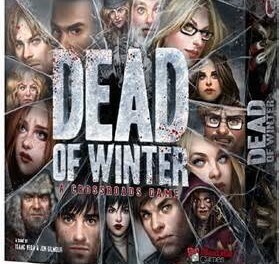 If you are already a board gamer I have no compunction in recommending ‘Dead of Winter’ – in fact, due to it’s unique combination of ideas and innovative story-telling mechanics I would say it is essential. For those less versed in modern board games it makes an excellent starting point – full of the things that make board games more than just Monopoly or Scrabble, but not so complicated that you need to study a novella-sized manual for a week before starting. 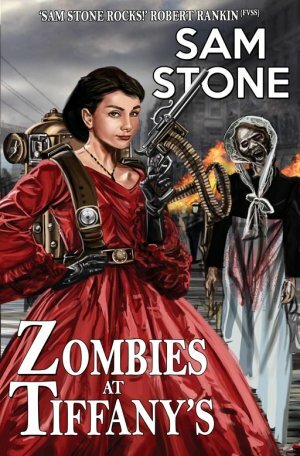 It is good enough to become a genuine cross-over hit in the vein of Pandemic or Ticket to Ride, but with added zombies – and what pastime couldn’t be enhanced by the shuffling undead?